India, the newly liberated country in 1947 was able to establish itself as a complete free country only after the merger of the then Hyderabad state into the Indian Union. However, the merger of Hyderabad state into Indian Union was not peaceful as its ruler decided to join neither India nor Pakistan after the British left. The Indian armed forces had to take military action against him to merge Hyderabad with the Indian Union. The military action though called as a police action (also called as Operation Polo), was literally a war on the Hyderabad state. When India got independence in 1947, there were more than 560 Princely States in Indian sub-continent. Some of them were Kashmir, Mysore, Junagad, Udaipur, Janjira, Aundh, Cochin and Hyderabad. The State of Hyderabad under the leadership of Mir Osman Ali Khan (7th and the last Nizam), was the largest of all the princely states in India. The Nizam was considered as the world’s richest man during that time (in 1937 Time magazine described him as the world’s richest man). Hyderabad was spread across a vast area (2,14,190 sq. kms). According to 1941 census, it was populated with more than 1 crore 60 lakh people of which a majority were Hindus (around 85%). Hyderabad State was well developed and had its own army, railway network, airline, telecommunication system, postal system, radio broadcasting service and even own currency. The then Prime Minister, Jawaharlal Nehru, Indian Home Minister, Sardar Patel and the governor general of India, Lord Mountbatten asked all these princely states to integrate with the Indian Union stating that it might become difficult for them to rule with the rapid and rising demand of democracy by the people. Despite the call given, the Nizam declared himself as independent. However, many of the princely states acceded into Indian Union. In the Nizam’s view, the concept of acceding the Hyderabad state to India or even to Pakistan was against his dignity. Even his own constitutional advisors including Walter Monckton (close friend of Lord Louis Mountbatten) could not convince him to integrate into the Indian Union. The Nizam declared on 15th August 1947 that Hyderabad would remain an independent state through a firman (decree). Kasim Razvi, a politically powerful civilian leader and a close advisor of the Nizam, encouraged him to deny the accession of Hyderabad into Indian Union. Kasim Razvi unfurled the Asafia Flag and declared that the flag was the emblem of the suzerainty of God on the earth. Kasim Razvi on many occasions asserted that Hyderabad was always independent and it had no obligation to join the Indian Union. Sardar Vallabhbhai Patel requested the Government of Hyderabad to accede into India – Hyderabad being in the heart of the Indian Union. Many number of proposals made by the Government of India were rejected by the Nizam, Razvi and Mir Laiq Ali, the Prime Minister of Hyderabad. 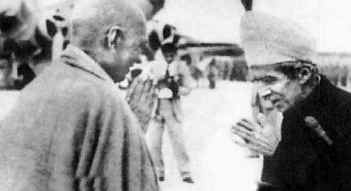 Sardar Patel approached Lord Mountbatten who advised him to resolve the issue without any violence. Accordingly, the Indian government offered ‘Standstill Agreement’ to Hyderabad assuring that no military action would be taken and his status quo would be maintained. This agreement gave Nizam and Kasim Razvi enough time to strengthen their armed forces and Razakars with modern weapons. The Nizam made unsuccessful attempts to seek the President Harry S. Truman of USA and the United Nations to settle the dispute. The Nizam, who wanted independent nation or a dominion state with British, felt insecure and started strengthening his troops. The Hyderabad State Army was commanded by an Arab, Major General El Edroos. It consisted of 22,000 men split into three armoured regiments, a horse cavalry regiment, 11 infantry battalions and artillery. The forces also included irregular units with horse cavalry and a garrison battalion. In addition to these, there were about 2 lakh Razakars (Muslim civilians trained as soldiers) under the command of Kasim Razvi. Around 50 thousands of them were armed with modern small weapons and the remaining predominantly armed with swords and muzzle-loaders. It is said that the Government of Hyderabad received arms from the Portuguese administration based in Goa, Sidney Cotton (an Australian arms trader) and Pakistan. Meanwhile, Maharaja Hari Singh, the ruler of the princely state of Kashmir refused to accede to either Pakistan or India. When Pakistan invaded Kashmir in 1948, he sought help from the Indian government and agreed to accede Kashmir into the Indian Union. In order to rescue Kashmir, India sent troops to Kashmir. The date for the attack on Hyderabad was fixed as 13th September, even though the commander-in-chief (C in C), General Sir Roy Bucher warned that Hyderabad would be an additional war front after Kashmir for the Indian army. The Indian army came up with the Goddard Plan (laid out by the C in C of the Southern Command, Lt. Gen E.N. Goddard). The plan envisaged two main attacks – one from Vijayawada in the East and another from Solapur in the West. Smaller entries were to be made from the South to protect the railway lines of communications. Also an entry from the North along the Aurangabad/Jalna area was to be made. Lt. Gen. Rajendra Singhji, DSO took the overall command. 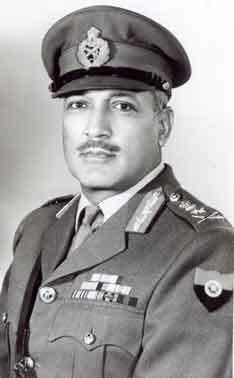 Major General J.N. Chaudhari led the attack from Solapur and was composed of four task forces: Strike Force with a mix of fast moving infantry, light artillery and cavalry; Smash Force mostly consisting of armoured units and artillery; Kill Force composed of engineering units and infantry; and Vir Force comprised of engineering units, infantry and anti-tank. Major General A.A. Rudra led the attack from Vijaywada, which included the 2/5 Gurkha Rifles, one squadron of the 17th (Poona) Horse, and a troop from the 19th Field Battery along with ancillary and engineering units. 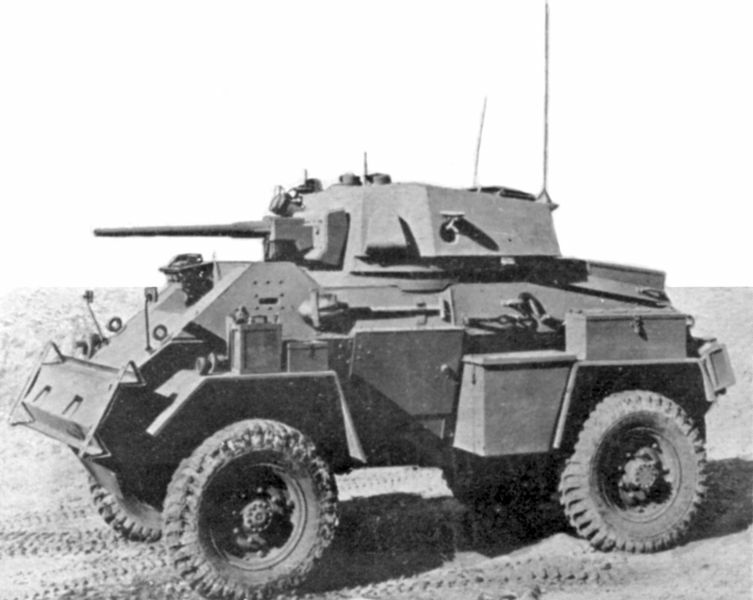 Four infantry battalions were also used to neutralize and protect lines of communication along the way. Brigadier N.V.Bal of the Indian forces ensured the safety of the rail communications on the Southern borders of Hyderabad. Headquartered in Guntakal, he took the responsibility of the bridges at Kurnool, Tungabhadra and Hospet. His troops included the 5/5 Gorkha Rifles, 1 Mysore Infantry and Mysore Lancers (on horses) and two armoured trains for patrolling. The task of capturing Aurangabad, an important military and civil center was given to Major General D.S.Brar. He organized 6 columns to capture it. 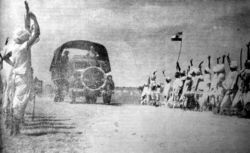 A column under Lt Col. P.S.Thapa comprising 2 companies of 17th Sikh, 3/5 Gorkha Rifles, a squadron of Stuarts and armored cars from Armoured Corps School, 20 Field Battery and Engineers and ancillary was tasked to capture the city of Aurangabad moving along the Nangaon – Aurangabad axis. Two squadrons of Hawker Tempest aircraft were prepared for air support from the Pune base. Infantry and Armored Forces of Indian Army deployed in Operation Polo were: 7th Brigade, 2nd Sikh Infantry, 1st Armoured Brigade, 9 DOGRA, 3rd Cavalry, 18th King Edward’s Own Cavalry, 9 Para Field Regiment, 10 Field Company Engineers, 3/2 Punjab Regiment, 2/1 Gurkha Rifles, 1 Mewar Infantry, 1st Mysore, 5/5 Gurkha, 2/5 Gurkha, 3/11 Gurkha Rifles, 8th Cavalry, 3 Sikh Light infantry, 2 Jodhpur infantry, 18 Cavalry, 3/11 Gurkhas, 9/2 Punjab, 6 Jat, 6 Kumaon. The Operation Polo also used AirForce, which included 2 Squadrons of IAF Tempests from Pune. There were air strikes between Umarga and Rajasur (Rajeshwar) now in Maharashtra (Day 2, 14 Sep 1948) – on the hills that overlooked a 8KM narrow pass; Suryapet, Nalgonda (Day 3, 15 Sep 1948). The full details of the war with the day by day account is summarized well at this site. The Operation Polo lasted for a very short time – all the Hyderabad forces were defeated within 5 days by the Indian army. The war started on 13th September 1948 and ended on 17th September 1948, is considered as the day when the ‘free India’ is complete. When the Indian army defeated the Hyderabad forces from all directions, the Prime Minister Laiq Ali and his entire cabinet resigned. On 17th September 1948, the Nizam went on air and asked his remaining forces to surrender. The Nizam banned the Razakkars and allowed the troops of the Indian army to occupy the core areas of the state such as Secunderabad and Bolarum. Thus the police action ended. Major General El Edroos and his Hyderabad State Army surrendered. Major General G.N. 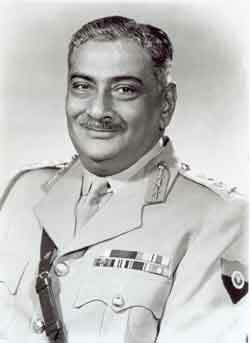 Chaudhary of the Indian army took over as military governor of the state of Hyderabad. The events after the Police Action were very quick and there was a total change in the political scenario of the state. Mir Laiq Ali and Kasim Razvi were arrested. The merger of Hyderabad dominions into the Indian Union was announced and the Major General Chaudhari, who took over as Military Governor of Hyderabad stayed in that position till the end of 1949. In January 1950, M. K.Vellodi, a senior civil servant was made the Chief Minister of the state. The Nizam Mir Osman Ali Khan was designated ‘Raj Pramukh’ of the state. After the 1952 General Elections, Burgula Rama Krishna Rao took charge of Hyderabad. Though the rule of the last Nizam of Hyderabad saw many economic and administrative developments, it is not really considered as democratic as he focused mainly on maintaining his regime and kingdom. He imposed Urdu though Urdu was not the native language for most part of the region. In order to maintain his kingdom, the recruitment of police and military was not drawn democratically, especially for the positions of leadership. It depended on the foreign mercenary forces. The merger of Hyderabad was breakdown of a medieval royal state to democratic modern state. It was replacement of monarchy with a superior state. The concept of modern state is superior to a monarchy. It gives an opportunity for a competent person to come into power and perform for few years and then revert back to a regular citizen’s role. This entry was posted on Sep 2010 at 4:51 AM	and is filed under History. You can follow any responses to this entry through the RSS 2.0 feed. Your Feedback Matters! This information is very useful for me to know about the history of our state. Being a teacher, I am going to teach my students about the history of our state.Thanking you for this information. Thanks for the valuable information on Telangana. This has to be taught in school. I have a keen interest to know and be proud of Hyderabad history and its acquisition to India. Happy many people can now read and know easily through this article. still many people don’t know the history behind the formation of our state. I am one of them till i read this. For me it is very important and valuable information. Thanks. If u r interested to knw abt the Hyd history more, those are published by telugu academy. U can get those books. Thats quite amazing. Hats Off to our Indian Army. They are the greatest than any other in this world. Is there any book based on this war? If yes where can I get it? Please let me know about it. Thank you sir for ur good information!